HOME PRODUCTS &AMP; SERVICES DIRECTORY OF SUPPLIERS EAGLE STAINLESS TUBE & FABRICATION, INC.
Eagle Stainless Tube stocks both seamless and welded tubing in their extensive inventory. 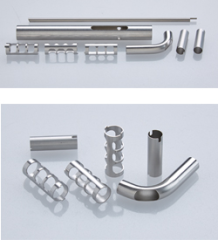 Stainless Steel Tube is available in a size range of .008" to 24" O.D. 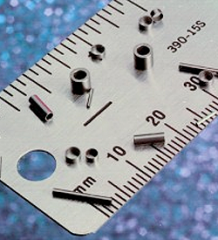 , wall thickness of .032" to 2" If mill lengths are too long for your purposes, they will be glad to cut your order to more suitable lengths. 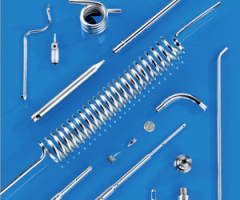 Eagle Stainless is a leading supplier of ultra high precision, cut-to-length, stainless steel tubing and bar for medical, electronic, semi-conductor, industrial and aerospace applications. 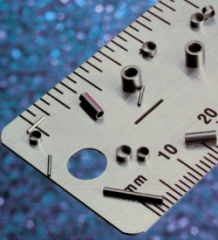 They can cut and deburr any diameter tubing in quantities from a single piece to a million pieces or more and from lengths of .040" and longer with standard tolerances ±.005. 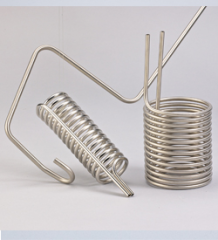 For your design, you need a stainless steel tubing supplier with the quality management certifications you trust, including ISO 9001 and ISO 13485 for medical. You can be assured that every member of our staff is concerned with the quality of every product at every step of its journey through our plant: from order entry to raw material purchasing..through fabrication and QA to final test and shipping. They key to our success is the development of relationships with our suppliers and customers that emphasize continuous improvement, customer satisfaction, and performance excellence. View More Announcements from Eagle Stainless Tube & Fabrication, Inc.